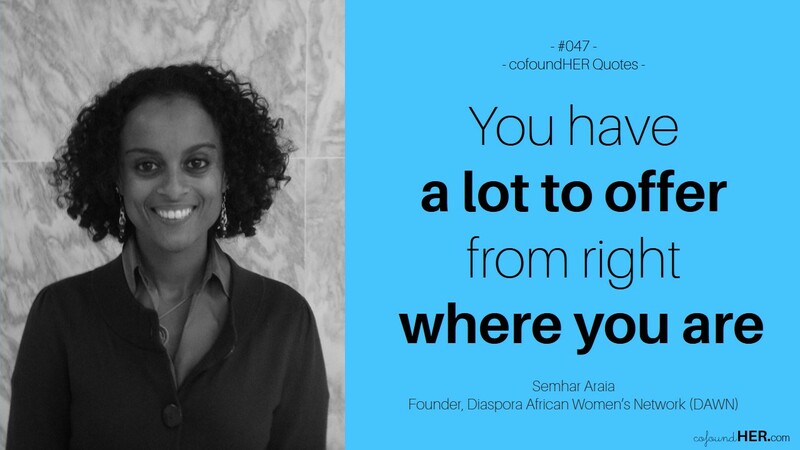 cofoundHER – Inspiring, informing and celebrating African female entrepreneurs. Hi there and welcome to cofoundHER, where we believe that women are part of and play an active role in entrepreneurship, especially in Africa. Our goal is to make this platform the go to repository where aspiring and existing African female entrepreneurs will get showcased, find information about opportunities, and get resources on how to grow a successful business. [Update] Our first interview series: We spoke with 21 African women entrepreneurs who are beneficiaries of the Tony Elumelu Entrepreneurship Programme, and whose ideas can change the world. Follow the TEEPcofoundHER series HERE. 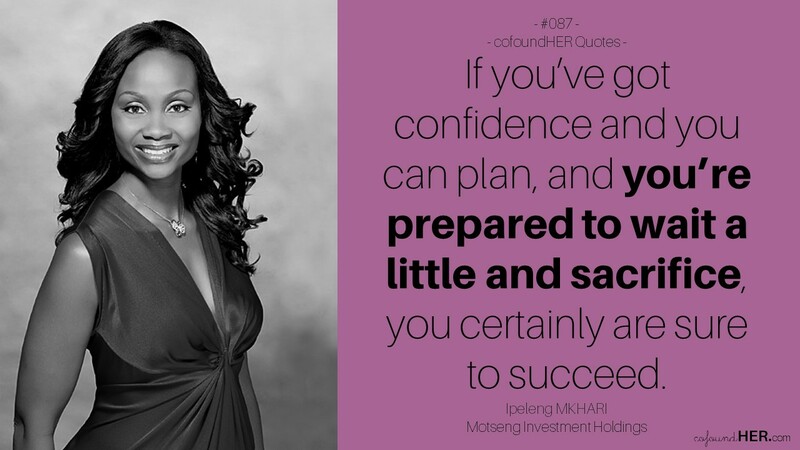 Almost everyday, we share a quote by an African woman entrepreneur on our social media pages in hopes that someone out there who sees it will be motivated to keep going, especially when they feel like giving up. 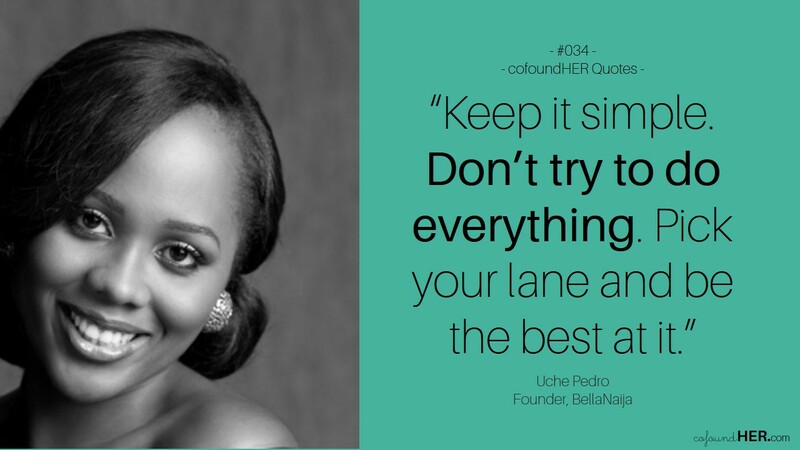 Know an African female entrepreneur that everyone should know? Want to get involved with what we do? Contact us. We’d love to hear from you! We’d love to learn more about what you do. Please send us an email cofoundher (at) gmail (dot) com. Hope to hear from you soon.